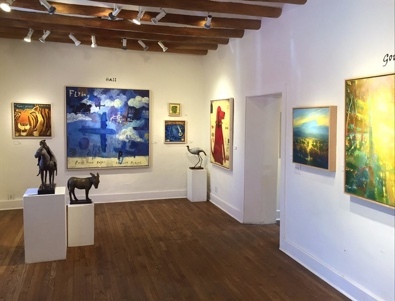 Known for our eclectic style, Giacobbe-Fritz Fine Art comprises the continuum of art all within an 1880s rambling adobe building on the iconic Canyon Road in Santa Fe, New Mexico. We welcome the seasoned collector and those just beginning their collection in an unintimidating relaxed setting. We are open everyday 10am - 5pm Sundays 12-5. See you soon!